Photo caption: Rachel Carter from Taranaki is the first New Zealand climber to make it to the finals of a climbing world competition. Photo credit: Eddie Fowke, IFSC. Climbing athlete Rachel Carter is the first New Zealander to make it to the finals of a sport climbing world competition. Carter was competing at the International Federation of Sport Climbing World Championships and Paraclimbing World Championships in Innsbruck, Austria this week. 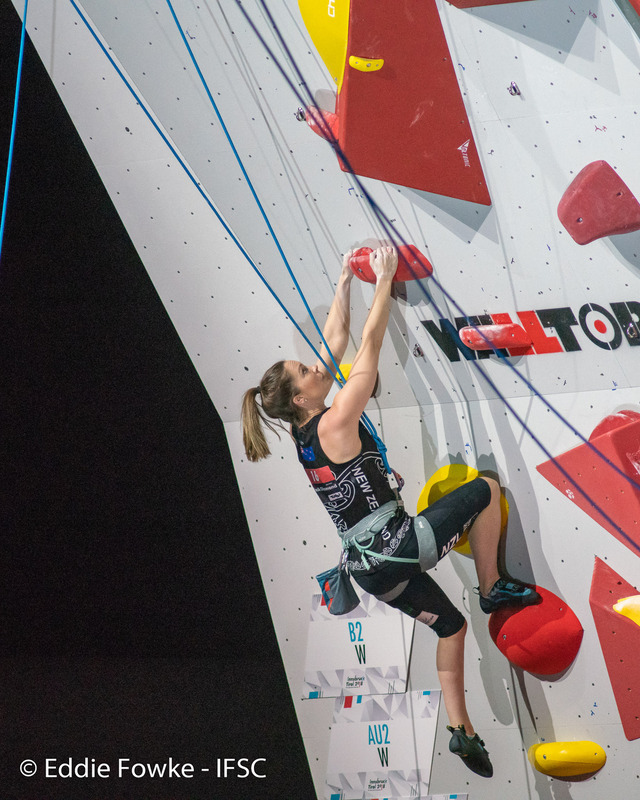 Carter, competing in the Paraclimbing Female RP2 category, made it to the top of her first qualifying climb and was only a few holds away from the top of her second qualifier. That put her in fourth position and secured her place in the finals. The 35 year old mother of three from Taranaki has only come back to climbing in the last few years after an injury as a teenager left her unable to bear weight on her left leg. At the end of the finals Carter remained in fourth place, narrowly missing out on a medal. 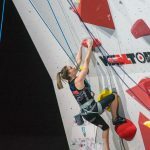 Over 800 climbers from 58 countries were competing in Innsbruck, many with their eyes on the Tokyo Olympics in 2020 where climbing will feature for the first time. Three other Kiwi athletes were competing in Innsbruck: Lucy Whitehead from National Park, Erica Gatland from Auckland and George Sanders from Wellington.